The ACCME 2017 Annual Report data was released on July 12, 2018 and highlights the annual growth and key takeaways within the CME Community. The report details information from more than 1,800 accredited CME providers offering close to 163,000 educational activities. Analysis shows an increase of physician participants and non-physician participants at these activities. The number of educational activities and participants have risen each year since 2010. 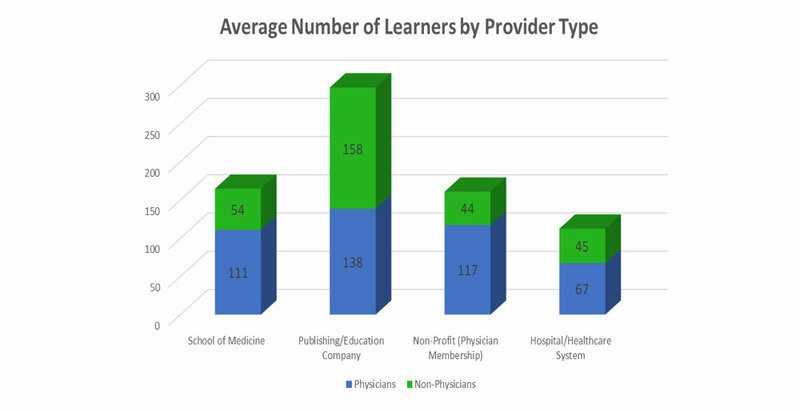 This growth illustrates the increased engagement of learners in quality CME activities that promote interprofessional collaborations and evolution of healthcare, to improve physician performance and ultimately patient outcomes. 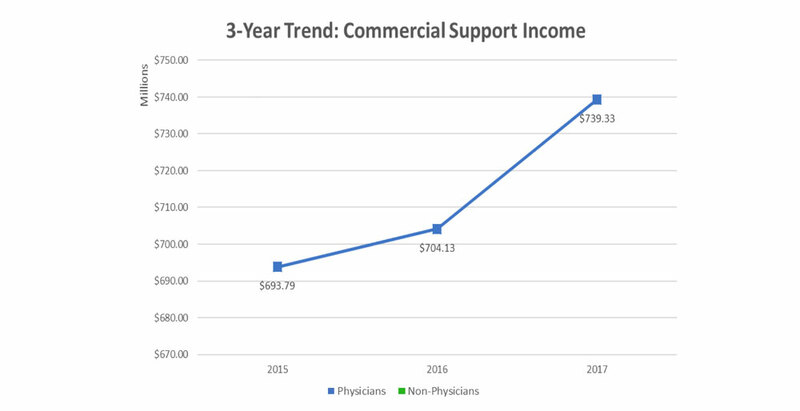 Summarized below, three-year trend data shows that the number of physician participants has increased by 9.62% while the number of non-physician participants at CME activities has increased by 10.70% since 2015. Further, this is the third year in which CME program expenses reporting at both the activity and program levels were not reported and income was reported under very specific categories, enabling a true comparison of income from 2015 to 2017. Accredited educational events grew by 2.68%; accredited activities have increased each year since 2010. 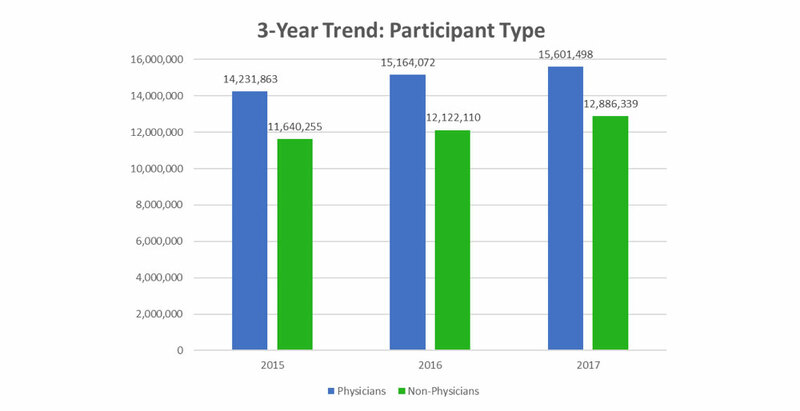 Total physician and non-physician participation at CME activities increased, physician participation increased by nearly 3% from 2016. Non-physician participation showed nice growth with a 6.30% increase, more than a 2% increase from 2016. 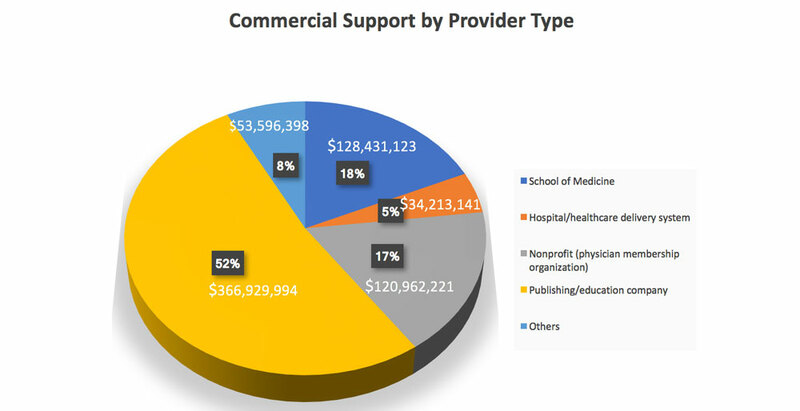 Total commercial support contributions rose by 5%, an estimated $35 million. (Note: This represents a noteworthy jump as contributions rose by 2.4% in 2014 by 2.6% in 2015 and by 1.5% in 2016). Total annual income for CME increased by $167 million, a 6.64% increase. 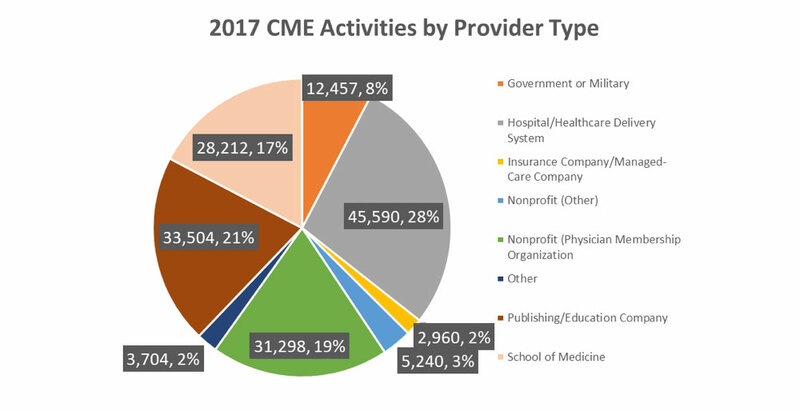 Of total attendance at CME activities, 55% of attendees were physicians and 45% were non-physicians.